Composed of a delicate blend of French Lavender fragrance, this clean aromatic blend evokes the subtle flowery warmth of Natural French Lavender. It's surprisingly clean, subtle fragrance with floral notes uniquely unfold as you apply it on the skin. 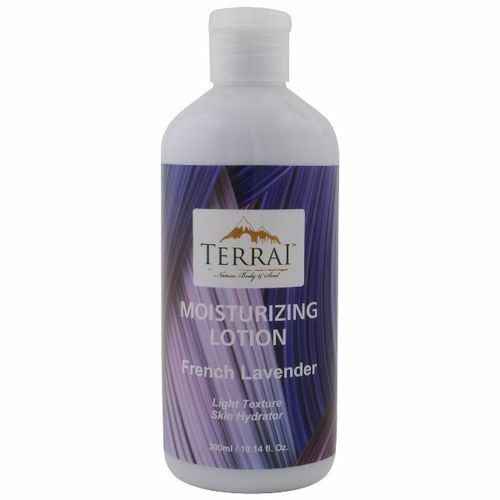 Terrai French Lavender Moisturizing Lotion is a gentle moisturizer that will keep your skin soft and silky smooth with no oiliness. Its light texture and luxurious fragrance can transport you to a garden of oasis, making you feel relaxed and leaving the skin delicately scented.